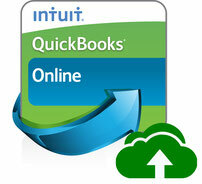 We are Quickbooks Online Pro-Advisors and serve clients who are already on the online platform or wish to start or move to it. We can help you convert and also maintain aspects of the monthly bookkeeping for you. Our goal is to partner with you and provide flexibility with our practice assisting you in the areas you require. We utilize QBO Payroll, Intuit Tax Software for all your Personal and Corporate Tax needs, as well as QBO apps such as receipt bank and Hubdoc to assist in receipt and document management. All of these adapted to fit your needs. Tell us more about your business and let us show how we can assist you.